HomeChoice is a large home shopping retailer intensely customer-focused and committed to delivering a high level of service and operational efficiency. Following years of continued growth and increasing contact volumes, it had become impossible for the organization to ensure continuous availability of the communication systems for its sales teams and 900 customer support agents. Outdated technology had created a significant gap between consumer needs and the experience that HomeChoice was able to deliver. In addition, HomeChoice gained the ability to deliver a superior level of engagement with their customers. 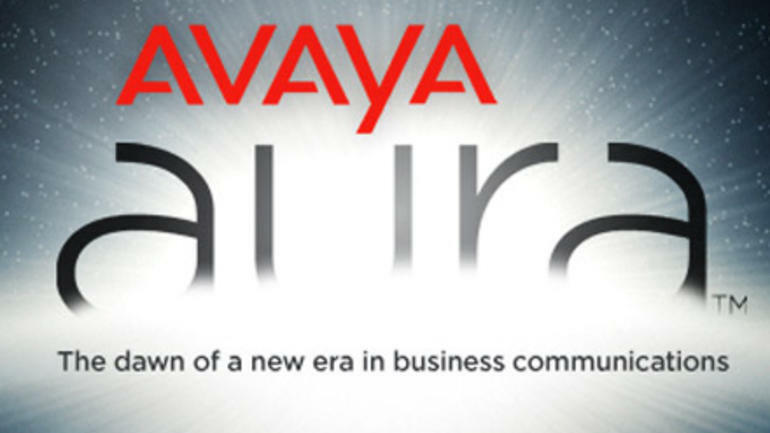 The Avaya solution helped enable the company to capture every aspect of the customer journey across all interaction channels—from chat on the group’s website to phone, fax, email, and social media—delighting agents and customers with optimized workflows and an excellent experience at each interaction. “With the deployment of the Avaya solution we are changing the way we do business, transforming from an outbound sales campaign model into a totally unified model leveraging all digital channels to increase our customer base,” said Michael Lazarus, Information and Communication Technology (ICT) Manager at HomeChoice. With its legacy communications platform, HomeChoice experienced substantial downtime, especially when transactional volumes were peaking. “77% of our sales ran through our call center, both inbound and outbound. Every time we launched a successful campaign, thousands of customers would call in at once, and our communication systems would fail,” said Lazarus. The Avaya solution can be virtualized and is Internet Protocol (IP) enabled, so that HomeChoice’s technicians can quickly add servers to the disaster recovery environment and connect to the infrastructure on that site. Since the deployment, the contact center has not experienced a single minute of downtime, greatly improving employee and customer satisfaction, and boosting revenue by eliminating missed-opportunity costs. The applications composing the Avaya solution are interoperable—speak the same technical languages and protocols—enabling seamless integration. HomeChoice’s engineers found it easy to use the interface on the solution’s administration portal, and Avaya’s implementation partner didn’t have to spend more than four hours guiding technicians on system support and administration. Support complexity has been reduced significantly, because with just a few screens to look at, fewer integration and interoperability issues, HomeChoice’s technicians are able to easily identify any issue, decreasing support, training and service costs by 18%. Improving agent utilization and productivity was one of HomeChoice’s major goals, because the lack of integration between legacy software meant agents needed to be allocated either to inbound or outbound activities, limiting the type of tasks they could perform. Customer information was spread across different databases, meaning that agents had to switch between screens and assemble the puzzle while speaking with the customer, negatively affecting call handling times and agent productivity. Management was finding it hard to strike an even workload balance among business operations so that enough agents were available to handle calls during peak call volume periods. Hiring more personnel per contact channel would leave resources underutilized during periods of low call volume, and accurate agent staffing was difficult to schedule. HomeChoice is now able to use agents across different interaction channels and/or customer categories. During times of peak inbound call activity, agents who were previously allocated to outbound calls can share the load, significantly reducing call waiting time and improving overall customer satisfaction by 11%. When inbound call volumes drop, the Avaya dialer allocates outbound tasks to all idle agents, maximizing agent time. The added automation increases document handling efficiencies by 71% while the extra bandwidth allows agents to call back more than 56% of customers who have abandoned their web shopping baskets within 8 hours, and convert around 7% of those interactions back into sales. The efficiency of Avaya Proactive Contact has pleased the HomeChoice team. “The dialer is always a couple of numbers ahead of the agent’s actual call, eliminating calls with no answer, fax tones etc. from the queue and handing over to an agent when a live person answers. HomeChoice’s legacy system was not keeping pace with the customer expectations of being able to seamlessly move across channels throughout the sales journey and enjoy consistent services and offerings. Furthermore, the company was selling through several channels—web store, catalog orders, and phone orders—without integration between those channels, leading to a disjointed customer experience. Thanks to the agent blending capability gained with the Avaya deployment, the contact center’s service levels improved from 73% to more than 87% out-of-the-box. Customers now interact with better-informed agents who respond faster to their queries, substantially improving the overall customer experience with the HomeChoice brand, and helping the company to further improve its services. “Our quality assurance staff can now quickly adjust to customer needs. If people struggle to access something on our website or think that a feature is not user-friendly, we hear about it immediately from calls, surveys, and quality assurance scores, and can start to implement the desired changes straightaway. The installation was launched by replacing the old call center gateway with IP enabled Avaya Aura Contact Center in both production and disaster recovery sites to prevent business interruption and establish a single interface for managing all customer interactions. HomeChoice then deployed Avaya Aura Experience Portal to provide a single point of orchestration for all automated voice and multimedia activities, and Avaya Proactive Contact dialer for seamless agent blending. The implementation was completed with new IP telephony terminals and Avaya Contact Recorder, allowing HomeChoice to easily store and retrieve calls for quality assurance and regulatory compliance.